In the second instalment of The Drinks List, we’ve pulled together some curious cocktails that will make you do a double take. But don’t just sit there imagining how and if they will work, read on and go try them for yourselves. 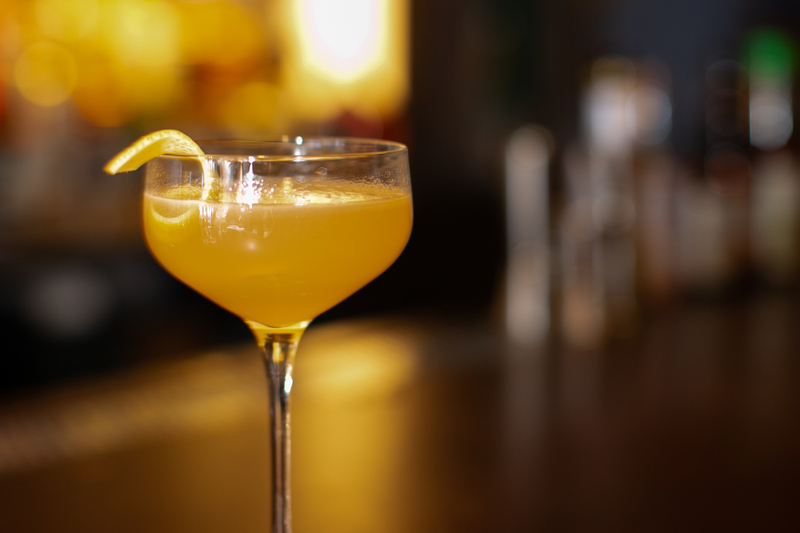 Inspired by the fearless Shelby clan from Birmingham in 19th century England, a time when formidable gang members wore peaked flat caps and steel capped boots, this cocktail serves as a reminder of those who dared to mix up traditions. Foxglove, the hidden speakeasy on Duddell Street, does exactly this and mixes the classic Old Fashioned up, adding a twist of coconut oil fat-wash, sugar and angostura bitters. The result is The Peaky Blinders cocktail; dark, boozy and faintly tropical — it’s almost as if the clan somehow made it to more exotic lands. More than just a cocktail, this dessert-like concoction has been created with Moutai; China’s favourite fiery liquor and can be found at one of Hong Kong’s best Japanese cocktail bars on Wyndham Street. Served with a spoon, the Moutai Vanilla Ice Cream is layered with Japanese red bean and baijiu-infused vanilla ice cream. The complex and powerful flavours of Moutai are somewhat toned down by the rich cream, but its unique savoury tones remain. The beans also bring out lingering floral aromas and nutty tones, making it a sweet start (or end) to the evening. We’re singing happy third birthday to the cheeky neighbourhood bar on Old Bailey Street as they celebrate their anniversary with new cocktails added to the menu. The one that caught our eye is U.N.I.T.Y. —named after the nineties single by Queen Latifah celebrating female empowerment. With Stiggin’s Fancy, a plantation rum flavoured with Victorian pineapples at its base and Oloroso sherry and pear mingled in; the cocktail is clean with a strong fruity punch. What’s surprising though is, as with all good wines, the sherry allows the cocktail to open up over time, bringing forward buttery and almond cake aromas as you keep sipping. Hong Kong is one of those places that really requires some cooling down. Whether it’s the heat, humidity or just the stresses of day to day life, it’s good to know that PDT have us covered. The intimate bar in the Landmark Mandarin Oriental offers Cool, Calamansi and Collected; a bittersweet cocktail blending Dolin Blanc Vermouth, Fords Gin, Calamansi shrubs and Aperol. Topped with a dash of Perchaud’s Bitters, the cocktail is served over a heap of crushed ice and a scrumptious little Japanese green peach and fresh mint. Well, I’d say it’s time to PDT and chill, don’t you? Just steps away from Lan Kwai Fong, this Wellington Street bar claims to offer the best burgers in town, but we’ve come to find something a little stronger on the cocktail menu. Luckily it doesn’t disappoint, and the Jalapeño 2.0 serves up a salivating savoury cocktail. Created by the owner, the martini look-alike is based on his youth where he grew up eating Tex-Mex food in California. With these flavours in mind, he conjured up the idea to work chilli into vodka. Belvedere is infused with fresh jalapeños and mixed with a vinegar and saline solution to give James Bond something more spicy to sip on.